"InsurTech" broadly describes technology-enabled innovations in the insurance industry. Similar to the way FinTech companies, such as PayPal and Venmo, changed the banking industry, InsurTech promises a comparable sea change in the insurance sector. Our attorneys are well-versed in both the current and developing areas of InsurTech, including big data, data analytics, blockchain technology, artificial intelligence and automated underwriting. 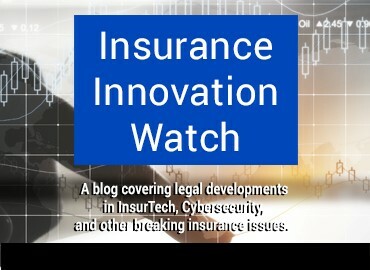 Saul Ewing Arnstein & Lehr’s attorneys assist both InsurTech startup companies and insurance companies seeking to implement InsurTech into their operations. Regulation is often cited as the most significant hurdle to innovation in the insurance industry. Insurance companies that are implementing InsurTech initiatives are grappling with how to achieve and maintain compliance in a regulatory scheme that did not contemplate technological advancements. We are working with a myriad of clients who are implementing new customer-centric solutions and back-office programs to improve their operations and remain competitive in the insurance industry’s shifting landscape while staying within the parameters of existing regulations. For our traditional insurance clients, we evaluate their processes and procedures for incorporating InsurTech into all levels of their business models, including implementation of new distribution models, enhancement of underwriting functions, and improvements to claims processing through the use of technology to ensure their compliance with applicable laws and regulations. Our team performs multi-state compliance reviews to pinpoint any variances in state laws so that our clients can tailor their products, distribution methods, and services accordingly. We can also assist insurance company clients in the acquisition of InsurTech startups, or in the licensing and/or contracting for innovative products. We help our InsurTech startup clients comply with state insurance regulations and structure agreements with other companies. We can also handle any disputes that may arise. Our InsurTech clients include Lemonade Insurance Company, for whom we handle insurance regulatory and compliance matters. Lemonade Insurance Company is a licensed insurance carrier, offering homeowners and renters insurance powered by artificial intelligence and behavioral economics. Blockchain is a decentralized database that keeps records of digital transactions. How might the insurance industry utilize it? A look at big data – the collection, storage and use of diverse amounts of information by insurance companies – and the regulatory issues it poses.